The Research Policy is based on a set of principles, values and guidelines shaped by a vision of R&D usefulness to society. It is assumed that the first function of the University is to produce knowledge that later disseminates, internally through teaching, with immediate use by the UPT, and externally, through initiatives and means in Open Access, contractualized knowledge transfer and registration of intellectual property . • Expand the range of participants in research programs through the organization of interinstitutional and international teams, the twinning of research units and the exchange of good practice. The Research Policy is the instrument for the pursuit of the R&D objectives outlined in the strategic planning of the Institution. It is carried out by the research units - RU - existing in the UPT and coordinated by the Rectory, in particular by the Vice Rectorate of Research. This coordination function is called UPTi. In this context there is an Ethics Committee, responsible for investigating ethics in all UPT Research Units. 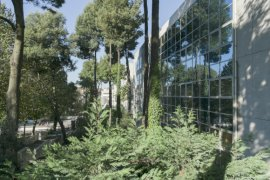 There is also a Research Office - RO, responsible for the management and maintenance of the UPT Research Portal, available at www.converis.upt.pt, as well as for the support of Research Units in the preparation of applications for Competitive financing and the development of international networks and consortia. RO integrates a set of researchers with cumulative functions of science managers - components of project management, financial management, information systems management, document management, quality management, etc. The UPT Research Portal was built on Thomson Reuters' market-leading platform, Converis. It includes features of curriculum management, project management, research analysis and Scientific Production Indicators, collaborative tools, integration of digital repositories, etc. The UPT Research Portal is functionally integrated with ORCID and the Web of Science. RUs are created on the initiative of the Rectory and approved by the EI Board, on which they depend on administrative and financial matters. They are governed by the respective statutes and the Legal Regime of Scientific Research Institutions. The respective Coordinating Researcher (HoR) is appointed by the Directorate of EI, on proposal of the Rectory, and its governing bodies are listed in the respective statutes. RUs are managed by objectives, which they accomplish through the execution of projects, which are part of their business plan. RU funding includes public funding and private financing at national, European and extra-European level. Project management is the responsibility of IR. The research process follows a protocol established at the UPT and applicable to most research projects. With respect to the production of knowledge that can be used in education, study cycles include, at a very early stage, curricular units with contents of Epistemology and Research Methodology, and the second and third cycle students are, by inherent form, integrated members of RUs. Students of the first cycles can, by request or invitation, also integrate RUs. The UPT has a Research Fellows program and, with regard to relations with its researchers, adopts the principles proclaimed by European Charter for Researchers and the Code of Conduct for the Recruitment of Researchers. The economic and social valorization of the knowledge produced with public financing is ensured by the policy of Open Access and the transfer of knowledge operated through the dissemination in study cycles. Privately funded projects produce appropriate knowledge by the respective funder, or shared between the funder and the UPT. 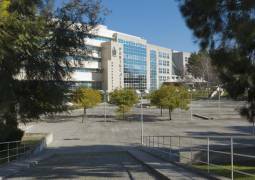 The issues of Intellectual Property are contained in the Regulation of Intellectual Property at the Portucalense University. 2 / - Self-application of the evaluation mechanisms of IQ of the FCT. Through the RAD, the qualifications and competences of the faculty are evaluated in four dimensions: research, teaching, university management and transfer and valorization of knowledge. There is a strong valorisation of the research component in this instrument, which aims to create incentives for greater activity of teachers in this area. In turn, SAD also assesses behavioral competencies. Under the latter system a training plan can be defined. External monitoring of these activities is carried out within the framework of the FCT, the contractual mechanisms with the financing entities and, with regard to scientific production, peer review mechanisms. External cadastre and metrics are also used: ORCID and Web of Science. The UPT has financial resources allocated to it by external funding bodies, pursuing an active policy of raising funds from national, European and international programs for competitive R & D funding. 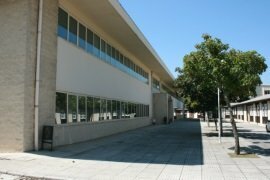 The Portucalense University also finances R&D through the participation in the financing of externally financed projects, the allocation of a portion of its budget to this activity in the absence of external financing, and the allocation of time shares of teaching and research resources, as well as the allocation of administrative and logistical resources. The resources available for R&D activities are managed in accordance with the utility principle mentioned above, and therefore funding for any project or activity precludes the approval of initiatives that do not fully demonstrate their contribution to the achievement of the institution's strategic objectives, expressed in Strategic Plan, Plan of Action, Research, Teaching and Internationalization Policies, as well as the Rector's Plan of Activities.